Before I had kids I was convinced that we wouldn't be the family that had the girl dressed head-to-toe in princess dresses day and night, and we thought MAYBE a few trucks here and there with the boy. Well...man was I wrong. I swear, the biggest lesson I continue to face about having these little guys is NEVER SAY NEVER! Never. Cuz it never seems to turn out how we thought. Meet Charlie. He is 2 and he is OBSESSED with garbage trucks. Obsessed might be an understatement too. Monday morning Charlie sits in the front window of our home waiting for the garbage truck. I swear he has sonar garbage truck radar too...cuz he knows when it's coming and is front and center just waiting. That truck shows up and his entire body tenses up with excitement. It's his only care in the world at that moment. How cool is that??! A garbage truck. So simple. I love it! So in honor of sweet Charlie and his pure love for garbage trucks, I thought I would share a few of our favorite garbage truck inspired toys that zoom and trash about our house. 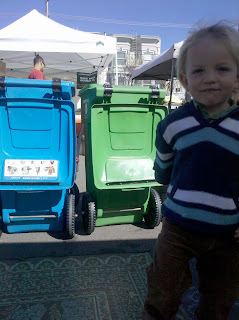 The Green Toys Recycling Garbage Truck was given to him when he turned one and remains to be one of his favorite in his fleet of trucks. The coolest thing about it is that it's made of 100% recycled plastic. A double plus! Looking for an infant boy gift? The Mini Garbage Truck by Plan Toys is spot on. For those of you with boys who haven't discovered the Bruder trucks yet - you DEFINITELY have to bring one home for his next birthday or special occasion! Bruder trucks are durable and entertain for hours. 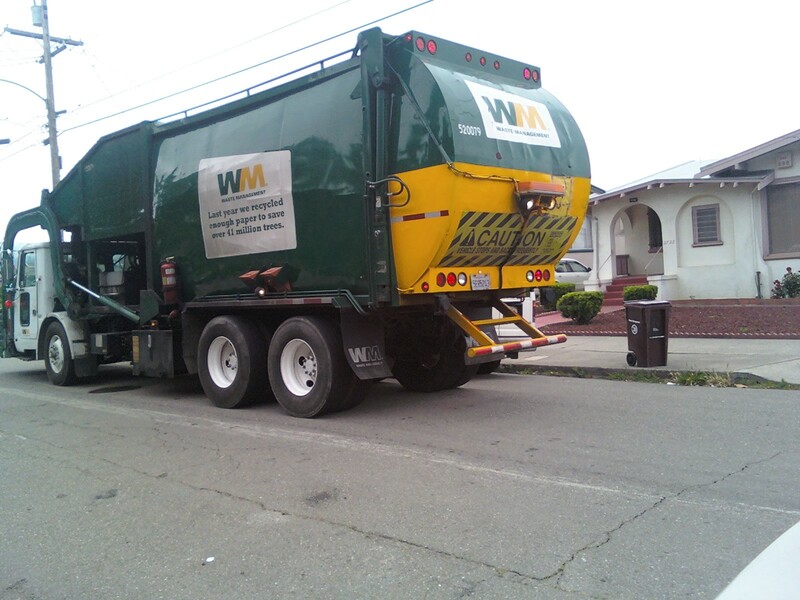 The Bruder Garbage Truck is really cool too because it comes with 2 garbage cans. Bonus! Plan Toys just came out with this wonderfulEco Recycling Game, a great lesson in how and why we need to sort our garbage. Charlie has yet to discover this one, but his sister Maggie thinks it's awesome. Perfect for the older kids. And of course, there is nothing like ending the evening with story time centered around garbage with the I Stink book. Sweet Dreams!! !